15 minute pork chops that will transport you to another world. These pork chops are full of flavor, easy to make, and best of all can be on the table before you know it! Have you ever watched Chopped? I wanted to do a chopped of my own and use an ingredient that is the same throughout all of one course. I thought this would be a fun little experiment that would come out with some interesting meals. The first meal that I did with it was a resounding success. So, I picked it up, ready for a challenge. I decided to make a mustard ranch pork chop with jus and ranch mashed potatoes. In all honesty, the mashed potatoes and the pork chops tasted completely different, they had such unique flavors that this meal was a party for your tastebuds. 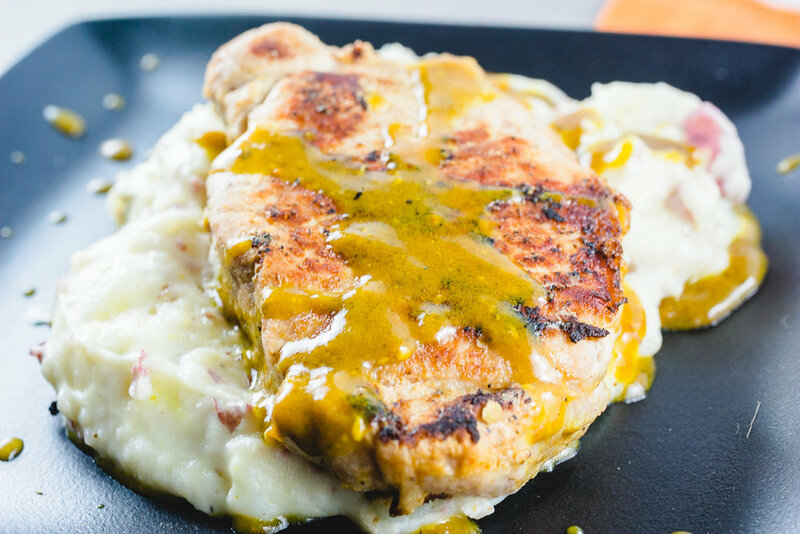 I was so afraid that the ranch would make both the pork chops and the mashed potatoes taste exactly the same, but I used different seasoning in order to really bring out the flavor of each individual ingredient. 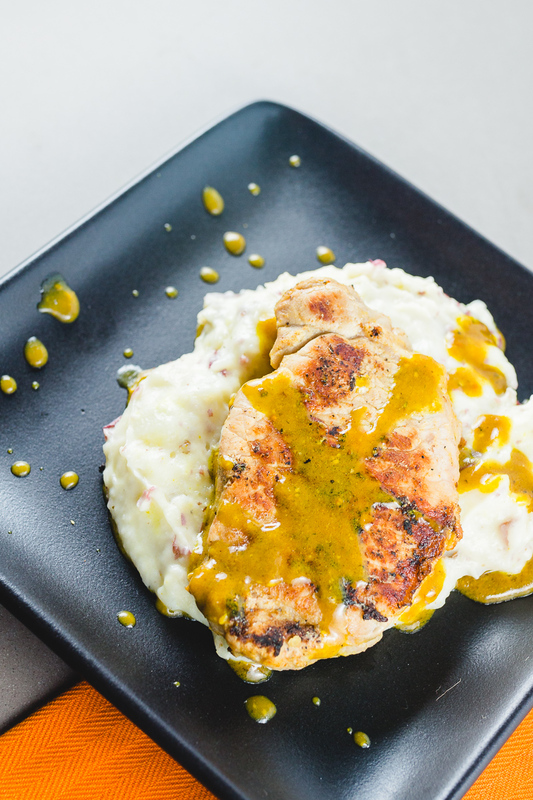 I’m giving you the recipe for the awesome mustard ranch pork chops today, so be ready for something different that you are going to fall in love with. Have you ever played ‘Chopped’? Let me know on Twitter or Facebook! Here’s my Instagram for your pleasure! If you are in the San Francisco area, I am hosting a Food Blogger Hooplah on November 19th! There will be wine, beer, local foods, a food photography station, and lot of interaction with people who are in the same field and love food as much as you! If this sounds fun, click here and buy your tickets before they run out! The Heritage Cook makes you Smothered Pork Chops that are absolutely amazing!